A Final Report to Zebras. The Zebra’s work is done. Good job! 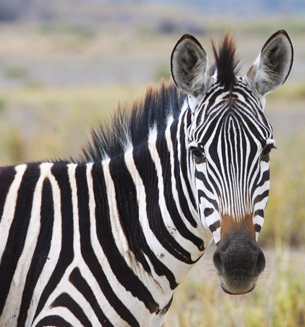 The Zebra Coalition was formed to promote the patient advocate (PA) role in clinical trial. With completion of preliminary exploration this summer and broad acceptance of a PA by key stakeholders, we can claim proof of concept. An ad hoc patient and caregiver organiz, The Zebra Coalition took the concept of MPN patient advocacy to the limits. Without funds, without an office, without a formal structure the 500+ member Coalition raised awareness of the need for a (PA) in MPN clinical trials. We took it to the highest levels of the FDA to get the green light to proceed. We explored the concept with investigators running the great majority of large-scale MPN clinical trials. We recruited qualified patient/caregivers to train and work as advocates. And this summer we’ve entered into discussions with major MPN drug companies — sponsors of clinical trials — to refine the role, terms and conditions under which PA’s would participate in clinical trials. Now it’s time to get serious about planning, organizing and funding a broadly based MPN patient advocacy program. If MPN patients and caregivers are going to provide critically needed services to the MPN community, we have to sharpen our focus, recruit a strong board of directors for a non-profit corporation, formalize an operating plan and budget and staff up. While clinical trial safety and monitoring remain central concerns, our understanding of the need for an MPN PA has greatly expanded. As patients we have needs equally critical as improving the clinical trial environment. As advocates we have work to do in the field. Setting the ground-rules for clinical trial The consensus conclusion of a prestigious panel of 24 MPN experts– see story in this issue of MPNforum – would place early risk patients in clinical trial and establish closer communications with clinical trial stakeholders without including patients. We need a patient advocate at that table. MPN patients need advocates to help with acquisition of meds, transportation to clinical trials and labs, counsel on social and economic problems that so often are part of this disease landscape. Subject to approval of Zebra Coalition members and the will of the MPN patient/caregiver community, this expanded mission will be the work of an MPN Patient Advocate Council, MPN-PAC. When details are firmed up a formal announcement will be made to the Zebra Coalition membership and submitted for comment and vote.